PACCAR achieves good quarterly results - DAF Trucks N.V.
Second quarter net sales and financial services revenues were $4.41 billion, compared to $5.08 billion in the second quarter of 2015. PACCAR earned adjusted net income (non-GAAP) of $371.7 million ($1.06 per diluted share) in the second quarter of 2016, excluding a favorable $109.6 million adjustment to the non-recurring charge established in the first quarter this year for the European Commission (EC) investigation of all European truck manufacturers. On July 19, 2016 the EC concluded its investigation by reaching a settlement with DAF. Including the favorable adjustment to the EC charge, which is not taxable, PACCAR reported net income of $481.3 million ($1.37 per diluted share) in the second quarter of 2016. The company earned net income of $447.2 million ($1.26 per diluted share) in the second quarter last year. For the first six months of 2016, PACCAR reported adjusted net income (non-GAAP) of $719.7 million ($2.05 per diluted share), excluding the $833.0 million non-recurring charge for the EC investigation. The company earned $825.6 million ($2.32 per diluted share) in the first six months of 2015. Including the non-recurring charge, PACCAR reported a net loss of $113.3 million ($.32 per diluted share) in the first six months of 2016. PACCAR’s regular quarterly dividend will not be impacted by the EC charge. Net sales and financial services revenues for the first six months of 2016 were $8.71 billion compared to $9.91 billion last year. Consolidated net sales and revenues of $4.41 billion. Adjusted net income (non-GAAP) of $371.7 million, excluding a $109.6 million favorable adjustment to the charge related to the settlement of the EC investigation. Net income of $481.3 million. Truck, Parts and Other gross margins of 15.2%. PACCAR Parts pre-tax income of $133.4 million. Financial Services pre-tax income of $77.3 million. Manufacturing cash and marketable securities of $3.40 billion. Record quarterly cash generated from operations of $853.6 million. Consolidated net sales and revenues of $8.71 billion. Adjusted net income of $719.7 million (non-GAAP), excluding a $833.0 million non-recurring charge for the EC investigation. Net loss of $113.3 million. PACCAR Parts pre-tax income of $268.0 million. Financial Services pre-tax income of $157.6 million. Cash generated from operations of $1.65 billion. Medium-term note issuances of $1.34 billion. DAF participated in the European Truck Platooning Challenge in April. The event was organized by the Dutch Ministry of Infrastructure and the Environment to demonstrate that wirelessly-linked truck combinations, or platoons, can operate safely and efficiently across Europe. 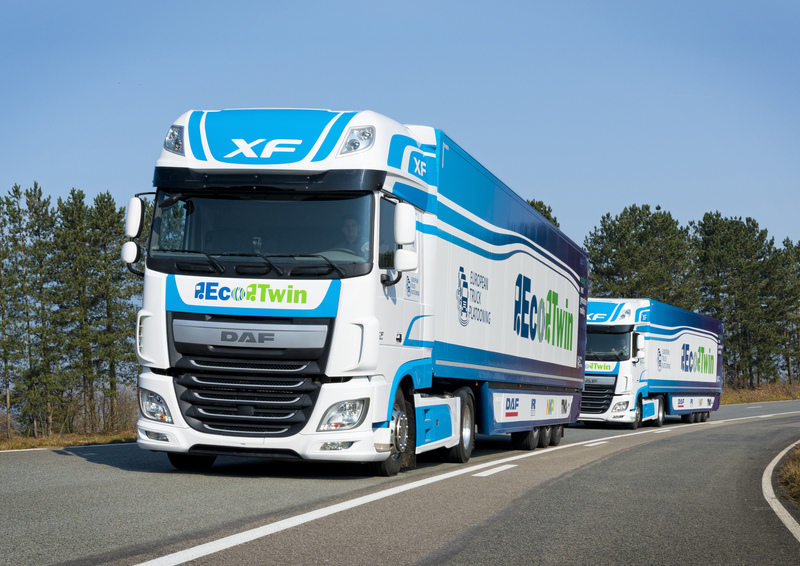 DAF and three suppliers partnered to form a team called EcoTwin. The second vehicle in the EcoTwin platoon followed the lead truck at a reduced distance. “The gap between trucks improves aerodynamics of all trucks in the platoon. This technology could achieve fuel savings of up to ten percent for our customers,” said Ron Borsboom, DAF chief engineer. PACCAR’s excellent long-term profits, strong balance sheet, and intense focus on quality, technology and productivity have enabled the company to invest $6.0 billion in capital projects, innovative products and new technologies during the past decade. “Capital of $325-$375 million and R&D expenses of $240-$260 million are being invested this year in new product development, enhanced manufacturing facilities and aftermarket support programs,” said Harrie Schippers, PACCAR senior vice president. 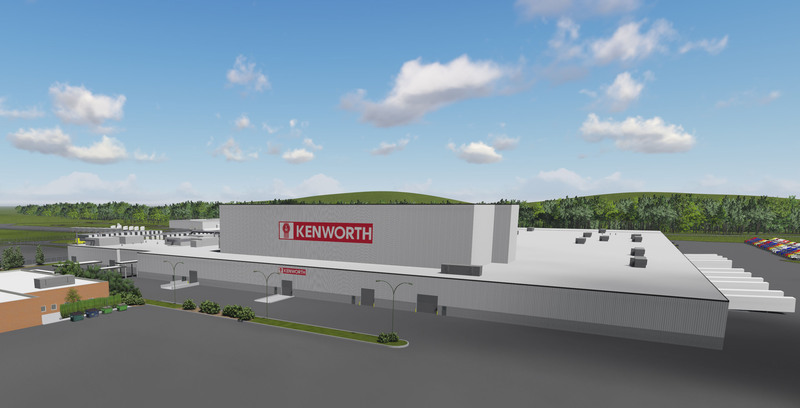 Kenworth’s Chillicothe, Ohio factory is constructing a new automated storage and delivery system for painted cabs, hoods, and sleepers. The $17 million, 25,000 square-foot addition will use state-of-the-art logistics technology to achieve rapid delivery of painted parts to the assembly line. “This expansion will enhance our manufacturing efficiency and production capacity,” said Judy McTigue, Kenworth Chillicothe factory plant manager. 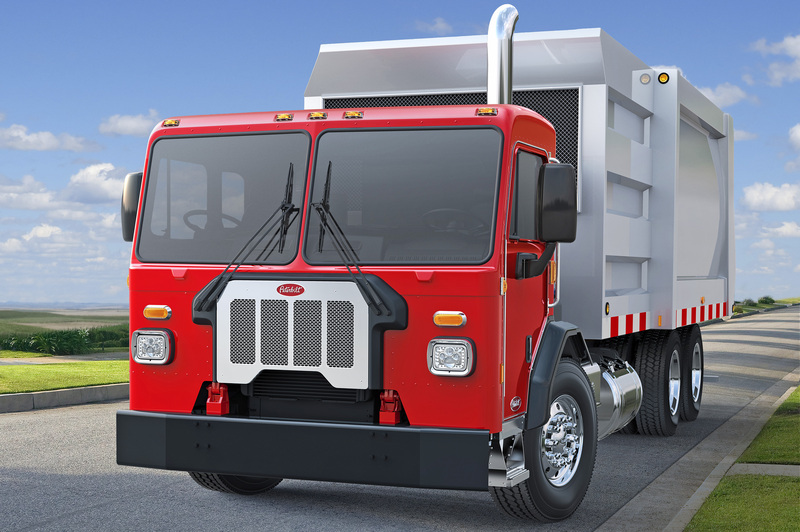 Peterbilt has expanded its refuse truck lineup with the launch of the new Peterbilt Model 520 featuring updated seating and drive configurations, enhanced styling and availability of the PACCAR MX-11 engine. Peterbilt achieved 25% share of this market segment in 2015. The Peterbilt Model 520 can be configured with a dual-seated, dual-drive cab which allows customers to operate the vehicle from both sides of the cab for greater convenience and comfort. PACCAR Parts generated quarterly pre-tax profit of $133.4 million in the second quarter of 2016, compared to $145.7 million achieved in the second quarter of 2015. Second quarter 2016 revenues were $756.4 million, compared to the $776.5 million earned in the second quarter last year. PACCAR Parts achieved pre-tax profit of $268.0 million in the first six months of 2016, compared to $284.6 million in the first six months of 2015. PACCAR Parts first half 2016 revenues were $1.48 billion, compared to $1.53 billion for the same period last year. PACCAR will hold a conference call with securities analysts to discuss second quarter earnings on July 26, 2016, at 9:00 a.m. Pacific time. Interested parties may listen to the call by selecting “Q2 Earnings Webcast” at PACCAR’s homepage. The Webcast will be available on a recorded basis through August 2, 2016. PACCAR shares are listed on NASDAQ Global Select Market, symbol PCAR. Its homepage is www.paccar.com.